Manuel Romero of West Babylon, 18, was found by officers hiding on top of the freezers in the ceiling, cops say. 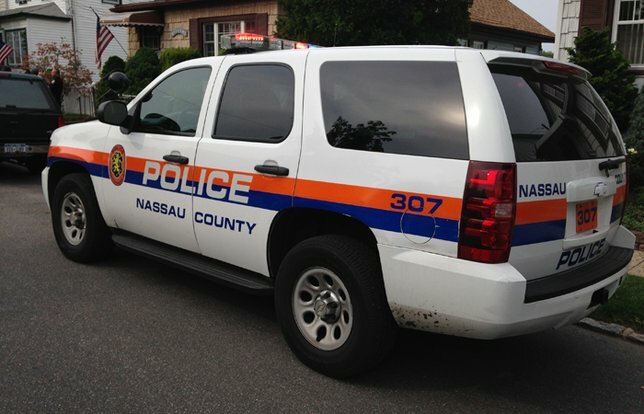 NCPD reports the arrest of Manuel Romero of West Babylon, 18, for Burglary. Levittown, NY - November 28, 2018 - The Second Squad reports the arrest of a West Babylon man at 2:27am on Wednesday, November 28, 2018 in Levittown. According to Detectives, defendant Manuel Romero, 18, of West Babylon, did enter the CVS Pharmacy located at 2970 Hempstead Turnpike by gaining access through the store’s drive-thru area. Once inside Defendant Romero removed approximately five bottles of cough medicine containing codeine. Upon attempting to exit the store the defendant observed Officers on scene and attempted to hide in the ceiling of the main store. The Emergency Service Unit and K-9 Officers performed a search of the entire building and located the defendant hiding on top of the freezers in the ceiling. The defendant was taken into custody without incident. Subsequent to the investigation, the defendant confessed to three prior burglaries at the Dairy Mart located at 100 Division Avenue Levittown on November 12, 24, 26 2018. The combined proceeds were approximately $7000 US currency, cigarettes and electronic cigarettes. Defendant Manuel Romero is charged with four counts of Burglary 3rd Degree. He will be arraigned on Wednesday, November 28, 2018 in First District Court 99 Main Street Hempstead. Subject: LongIsland.com - Your Name sent you Article details of "NCPD: Man Arrested After Breaking into Levittown Pharmacy, Stealing Cough Medicine"